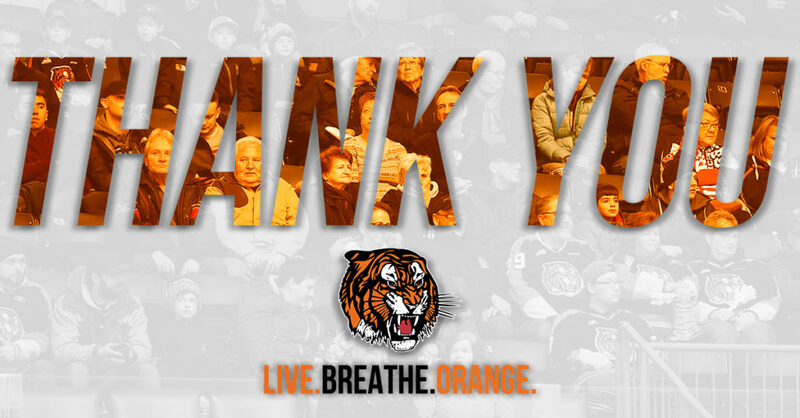 The Medicine Hat Tigers return home from a four game in five nights road trip with a 3-0-1-0 record. After defeating the Kootenay ICE 6-3 last Wednesday, the Tabbies headed south of the border to battle Everett, Seattle and Portland all in consecutive nights over the weekend. They defeated Everett 1-0 on Friday, fell 4-3 in overtime to Seattle before defeating Portland 2-1 in a shootout Sunday. The Orange and Black improved their record to 31-18-3-2 and they are led by veteran forwards James Hamblin with 64 points (30G, 34A) and Ryan Jevne with 53 points (25G, 28A). 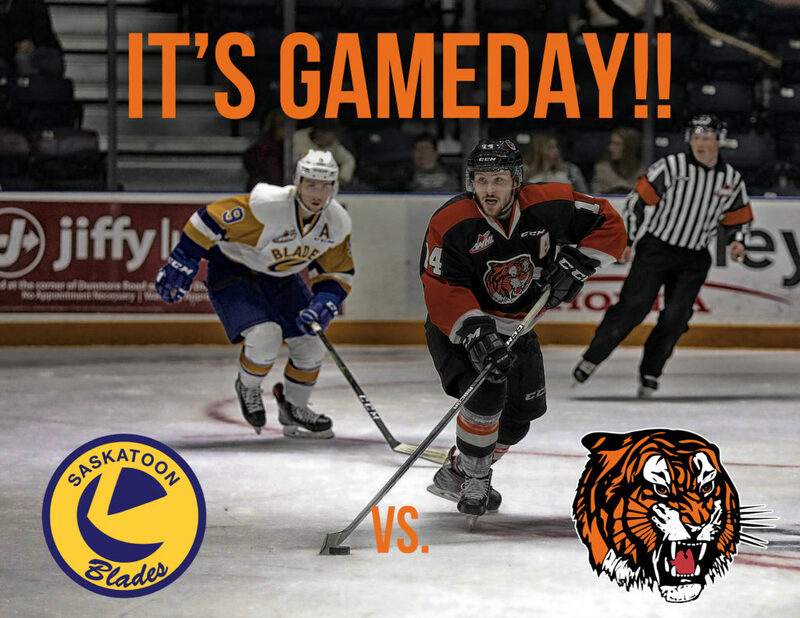 Tonight will be the fourth and final meeting between the Tigers and the Blades this season. The Blades have won all three previous contests, including a 4-3 SO victory in September. 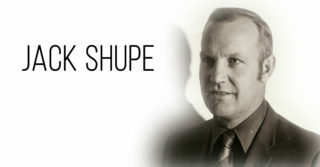 Over the past five years, Medicine Hat is 9-5-0-1 against Saskatoon and the last time the Tabbies beat the Blades was Jan 10th, 2018, in a 3-2 game. It was Bryan Lockner’s first game in Orange and Black and not only did he score his first goal for his new team but he earned 3rd star of the night. The Saskatoon Blades are on a four-game winning streak after defeating the Brandon Wheat Kings 6-3 on Sunday. The Blades are sitting in 2nd place in the Eastern Division with a 34-13-8-0 record. Tonight’s game is the first game of a four-game road trip for Saskatoon. The Blades are 18-7-3-0 on the road and they are led by veteran defenceman Dawson Davidson with 61 points (10G, 51A) and veteran forward Max Gerlach with 59 points (33G, 26A). Ryan Chyzowski scored the game-winning goal in the fifth round of the shootout on Sunday night against Portland. Chyzowski also assisted Ryan Jevne’s shorthanded game-tying goal after winning possession of the puck in the Tigers’ end. 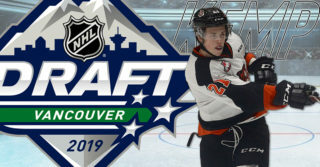 The 18-year-old Kamloops native is a skilled forward with a nose for the puck and he is not afraid to mix it up. Look for Chyzowski to drive to the net and create scoring lanes in tonight’s tilt. Captain James Hamblin has been the Tigers’ top point producer all season and he currently sits 11th in the league for scoring with 64 points (30G, 34A). The 19-year-old Edmonton was the setup man last season with a career-high of 43 assists but this season he is the one scoring the goals with a new career-high of 30 goals. Hamblin is a hard working, two way forward who will look to lead his team to victory in tonight’s contest. Søgaard is also ranked 4th in the WHL among goalies with 2.19 GAA and 0.935 save percentage. 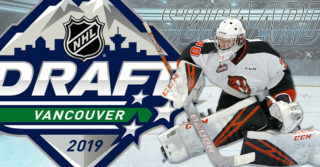 Søgaard was named Eli Wilson Goaltending WHL Goaltender of the week for the week ending Feb 10, 2019, after sporting a 3-0-0-0 record, 1.30 GAA and stopped 96 of 100 shots for a .960 save percentage. He was also named Vaugh CHL Goaltender of the Week. This is the second time this season Søgaard has won both honours. The Tabbies’ power play is ranked 5th in the league and it is 23.2% effective. James Hamblin is the top goal scorer on the power play with 11 and Ryan Jevne is the top set up man on the power with 18 assists. 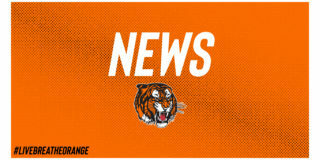 Daniel Baker leads all Tigers rookies with 14 points (2G, 12A). The Tigers’ penalty kill is ranked 7th in the league and 4% effective. James Hamblin and Ryan Jevne have 3 goals apiece and Tyler Preziuso has 1 goal and 3 assists while on the penalty kill. Linus Nassen is the Tabbies’ top point-producing blueliner with 40 points (5G, 35A) and he is ranked 10th in the league amongst defencemen. The Orange and Black are the least penalized team in the league, averaging 7.3 penalties in minutes/game. For the 38th time in franchise history, the Tigers have won 30+ regular season games. The race for the Central Division crown continues to be tight with 7 points separating first and fifth place. 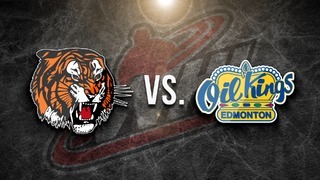 The Tigers currently sit in 2nd place with 67 points, 1 point behind first-place Edmonton Oil Kings. Canadian Red Cross is a humanitarian charitable organization. They are currently focusing on emergency preparedness and recruiting more volunteers. Make sure to stop by their booth on the main concourse.